An Anhinga at Brazos Bend. Evolution may have misfired a little here. 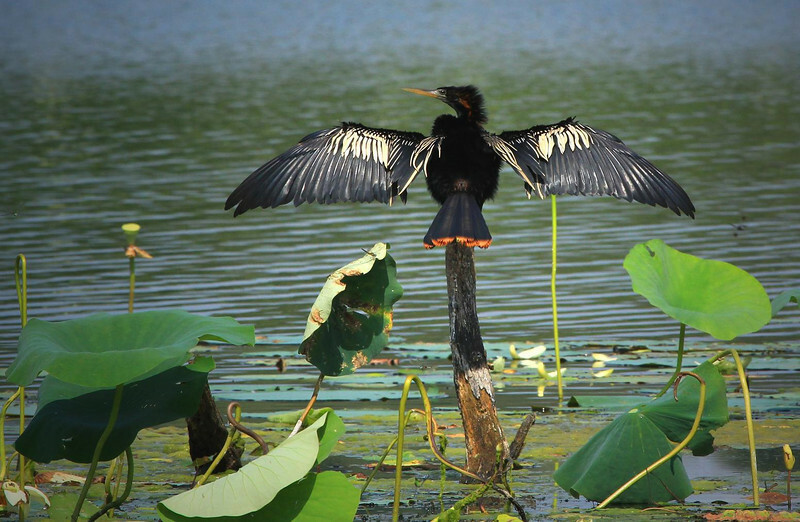 Anhingas fish underwater and spend a lot of time submerged or nearly so, yet their feathers are not water resistant. As a result they spend much time holding out their wings in the sun and cannot fly until somewhat dried out. What would Darwin say?